The family-friendly event also featured photo opportunities with llamas and Santa. The Kirkland Downtown Association (KDA) and the city of Kirkland kicked off the holiday season with their annual Winterfest and tree lighting on Dec. 1 at Marina Park. 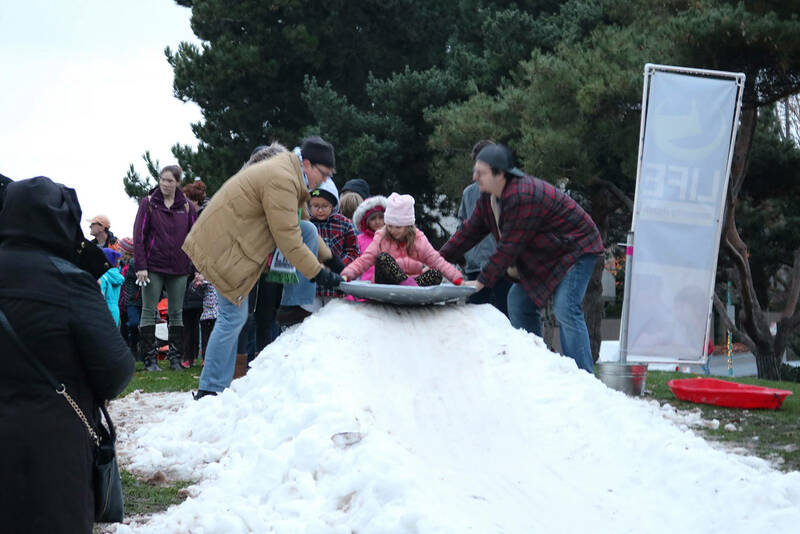 Other activities included a sledding hill, bonfires, live music and entertainment, food trucks, and pictures with Santa and Kirkland’s favorite llama, Keiko. Kirkland councilmembers also provided free hot cococa. The tree lighting was followed by an ugly sweater after party and karaoke at Wilde Rover. All ticket proceeds and donations helped the KDA fund Winterfest and all of the lights in downtown Kirkland.